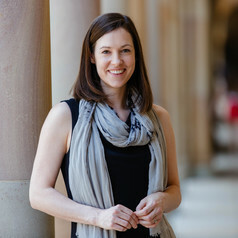 Dr Rebecca E. Olson is a Senior Lecturer in Sociology in the School of Social Science at the University of Queensland where she lectures on health, emotions and qualitative research methods. Her research intersects the sociology of health and illness and and the sociology of emotion. She has recently completed studies on cancer and end-of-life care, interprofessional practice in the health professions, and patients using private health insurance in public hospitals. Recent books include, “Towards a Sociology of Cancer Caregiving: Time to Feel” (Ashgate 2015), and "Emotions in Late Modernity" (Routledge 2019, co-edited by Patulny, Bellocchi, Olson, Khorana, McKenzie & Peterie).